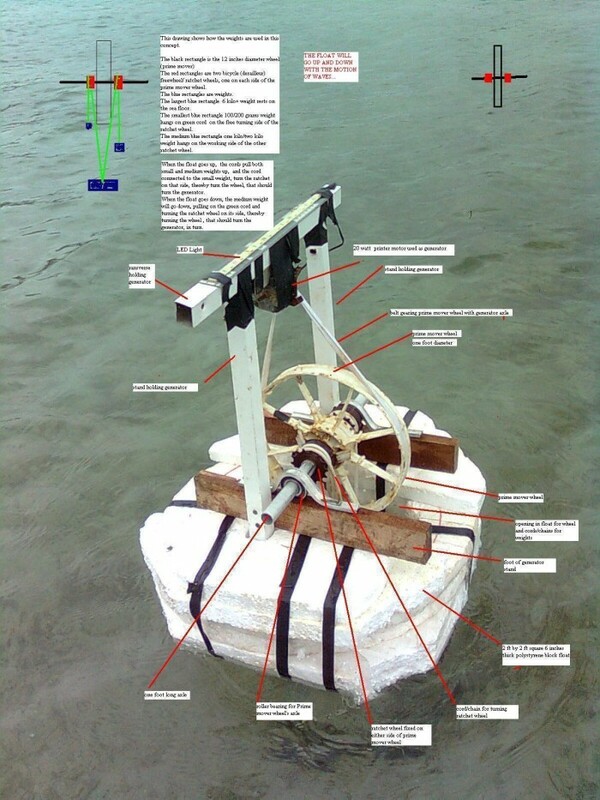 My wave energy converter generator design has undergone modification and simplification since patent grant. Newcastle University UK has been collaborating with me for the past years, with an MSc student doing a course project study of my simplified device, and have, now completed a full scientific Laboratory WAVE TANK testing and Numerical Analysis, and found, among other things, my Wave Energy Conversion Device having an efficiency rating of 44 percent. Pelamis, the well known Wave Energy Converter, first multi-millions dollars commercial project, has a claimed efficiency (not tested) rating of 50 percent. In comparison, a wing turbine has an efficiency rating of 25 percent and a solar panel has an efficiency rating of 20 percent. My invention/patent is a renewable energy generator, just what we need for our future energy supply in the years to come. I am open to outright sale or licensing. 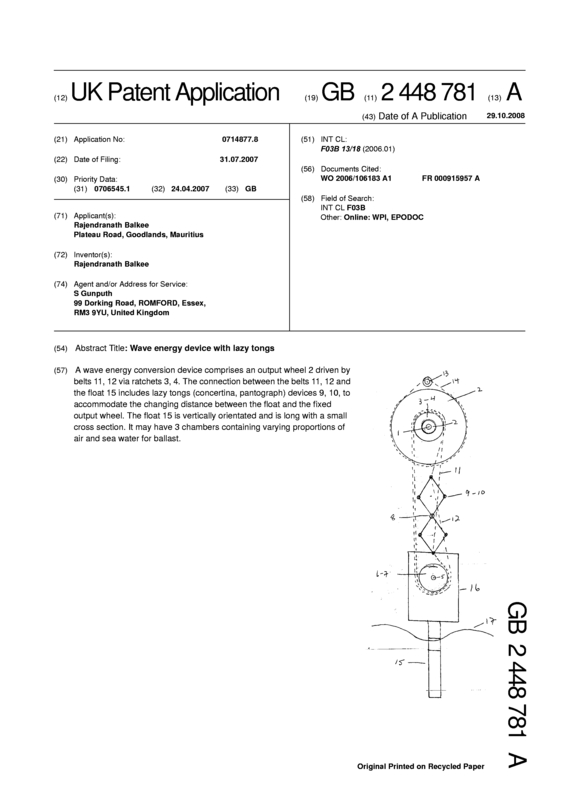 Page created at 2019-04-25 4:03:11, Patent Auction Time.